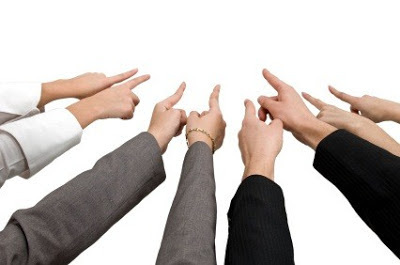 When something goes wrong, a number of organisations and managers need someone to blame and they set about instigating a hunt to put a name to the culprit without ever thinking of the impact that this has on employees. When this happens employees will try to cover up mistakes and hide problems hoping that no one will find out. Genuine mistakes may go unnoticed and unreported which may lead to even greater problems in the future. The result is that nothing ever gets resolved. However, the impact of harnessing a blame culture is far greater than unresolved issues. Staff will lack initiative and creativity in case they make a mistake and are more concerned with covering their own back rather than engaging in more productive actions. If any staff member receives negative feedback for their actions, then this will soon become common knowledge within the workplace, especially if they have been dealt with harshly. This will result in them losing trust and respect for their leaders. If you use or hear such language as “who is responsible for this” or “when will they ever learn?” then this is the language of a blame culture. Rather than being focused on learning how to improve the situation or on the solution, this is focusing on finding someone to blame because it is always someone else’s fault. So how do you move from a blame culture towards a culture where people feel empowered to take responsibility? There is no such thing as failure, only results. If we all learn from our results, then we can never fail. Just a small shift in mind set and language can make a huge difference.